A loan of $500 helped to purchase more her grocery items to continue selling. Mrs. 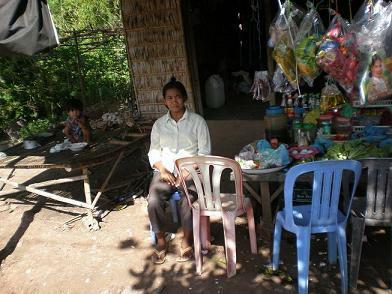 Him C., age 37, lives in her own small house with other family members from Kampong Chhnang Province. To earn a living, she sells in retail cooking supply that she buys it in bulk from the market at reasonable price. Some of her clients are her nearby neighbors who also buy her produce on credit for a few days on produce’s cost. To help be responsible for family, her husband works in construction for a profit. This couple has given birth to two school-aged kids. Recently, a part of her item has been sold out from her stock. Him C. wants to acquire another inventory and is requesting a loan from HKL to purchase more her grocery items to continue selling.